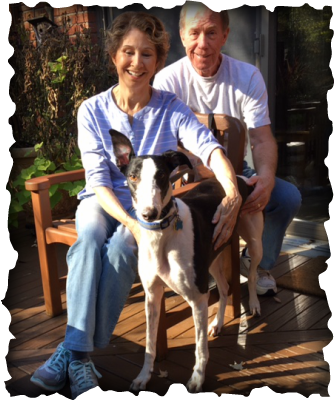 CT She's the One, now Daisy is home with Linda and Chip in Anderson. they are a greyt hound loving family. After loosing their sweet, Ibizan hound, Hoover they just couldn't stand not having a dog in the house. This family has always worked with shelters and Chip even volunteers at the zoo. They are already talking about adopting #2 and has offered to foster for GAGC! Daisy will definitely enjoy all the EXTRA love an attention she so deserves.